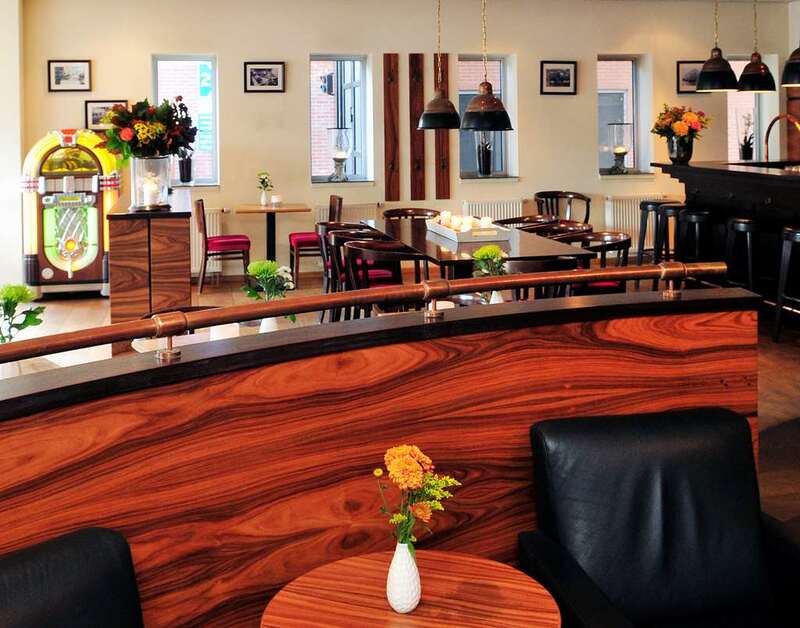 In the City Centre of Alkmaar you will find Amrath Hotel Alkmaar. The hotel that has opened his doors in March 2005 is decorated to the expectations of both the business as leisure guest. Whether you stay in one of our luxury hotel rooms or junior suites the first class decoration will make your stay to an everlasting memory. The historical city centre of Alkmaar is only 10 walking minutes away. Here you can find many different restaurants a wide range of small shops and of course several historical buildings. The Waagplein and its Waagtoren the place where every Friday morning from April to September the famous Cheesemarket is taking place is only 5 minutes from the hotel. Those who preffer walking or cycling in the surrounding of Alkmaar can choose between the Dunes the Beach or the wide stretched polders. The distance between Amsterdam and Alkmaar is about 40 minutes by car and by train the Central Station is only 10 walking minutes away from the hotel.